Anastasia Date shares a beautiful love story with their members of a very special happy couple. AnastasiaDate, the popular international online dating portal often receives moving stories from past members. The latest emotional and special story comes from Natalia and Rick. Rick is from Texas, USA and Natalia from Sevastopol, Ukraine. Both of them had decided to look for love online and they both happened to sign up with Anastasia Date. They met through the site while both searching for their ideal partner. Rick noticed this beautiful woman and decided to make the first move by sending her a short but captivating note to which she felt compelled to answer. She was swept away by this guy that seemed to be the perfect gentleman and soon they began sending letters back and forth and got to know each other much better. Time flew by and they grew to like each other a lot and it was obvious that they would end up as a couple. 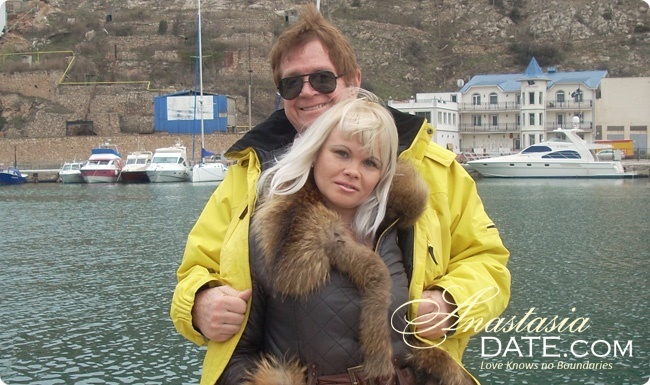 Rick made the decision to fly to Sevastopol because he felt he needed to meet this woman as soon as possible. The couple has shared with Anastasia Date how the chemistry grew even more when they first met. After their emotional first meeting which was made possible by a lot of help from AnastasiaDate.com, Rick flew back home, being very sure that he has found what he is looking for. Natalia has said that the communication continued from their first meeting up to when he flew back to meet her again and this time to take her to her new home in Texas. The happy couple married soon after that and began a new life together. Natalia says that Rick is all the support she has ever needed and is a great husband and a great friend as well. AnastasiaDate has shared more exciting and moving love stories from happy couples. This reliable and popular dating portal provides everything a person needs to have a great online dating experience and find the person they are looking for. AnastasiaDate provides unmatched dating tools that help people get together just like Natalia and Rick. PDF version can be found here.